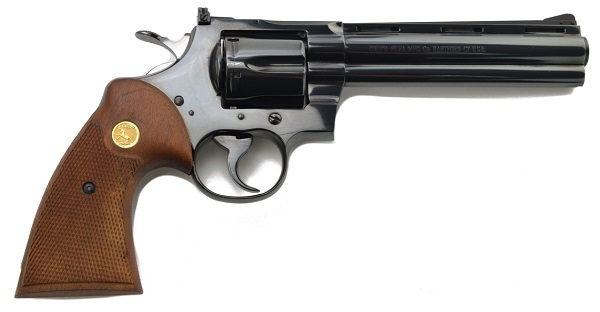 Both have 6″ barrels, both are chambered for the fine .357 Magnum cartridge, both are excellent revolvers — quite possibly two of the best ever made — and yet even though the idiots at Colt don’t make either of them anymore [100,000-word rant deleted] the Trooper typically retails for under $1,000, while the Python is stratospheric ($2,300 and up). I know the Python was built with no-expenses-spared quality, while the Trooper wasn’t — not that it was shoddy, anything but — and maybe it has a different feel to the Python’s silky triple-snick cocking sound. But I find it difficult to believe that the Python, based on its price alone, is three times better than the Trooper. I’ve fired both revolvers many times, and owned a Python at one time. Yet now, as a retired old geezer, the chances of me ever owning a Python again are not good (actually, I probably have a better chance of winning the Pick 4 lottery). So why, I ask you all, should I not set my sights on a Trooper instead? You Readers who are Colt cognoscenti, give me the scoop in Comments (after wiping the drool from yer keyboards, of course). And for once, ignore any arguments involving beauty and / or status. It would be my new bedside gun only. Oops. The National Oceanic and Atmospheric Administration (NOAA) has been caught with its dirty little fingers in the fudge drawer… again. NOAA has been cooking the books. Yet again – presumably for reasons more to do with ideology than meteorology – NOAA has adjusted past temperatures to look colder than they were and recent temperatures to look warmer than they were. This all started when some smart guy looked at the raw data covering the recent polar vortex storms in the Northeastern United States, and found the disparity as noted above. The data had been “smoothed” (weasel statistician word meaning “altered”) and guess in which direction? Why, to support the Glueball Wormening narrative, of course. And by the way: you know how the Arctic ice cap is at its lowest level in history? Ummm not so. And you know how it never snows in Rome? Also not so. And Naples? And you know how The Independent said that British children will grow up never having seen snow? Not this generation, anyway. 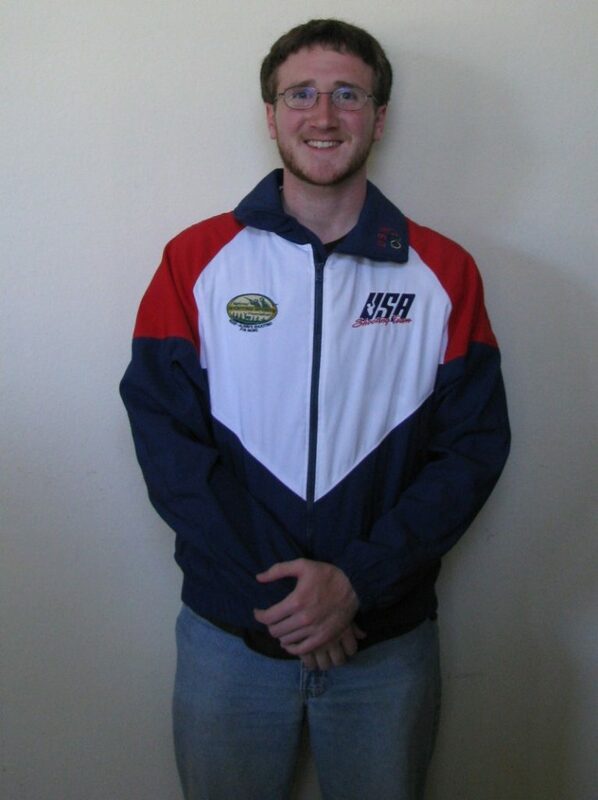 and of course, there was the Son&Heir himself, who was several-times the Texas Junior State Champ in Air Pistol and Free Pistol, and made TeamUSA’s development (farm) team. Like Markowski, he missed the London Olympics despite being in the top 10 rankings. So: the Shooting Stars need some equipment, i.e. some of the electronic targets that are used in airgun competition, which are especially needed as the club often hosts the state championships. They are looking for some angels to help them out. That would be you lot. Once again, this is not a bunch of goofballs; they’re a serious outfit who have contributed much to the shooting sports in Texas as well as nationally and internationally. Here’s their website (check out their recent achievements, good grief! ), and follow the link to their GoFundMe appeal. With all the nonsense that’s being thrown at us shooters these days, this is a worthy cause. I’ve sprung for $100; I just wish I could do more. Please join me in helping them out. This is not a post about rayyycism. Had the Tiguan in for a major (30k) service yesterday, and on the way out of the dealership I drove past the usual couple miles of new VWs waiting to be sold. Then something caught my eye and I made a double U-turn, then repeated the trip. At a rough estimate, well over half the new cars were black. In North Texas. Where in summer (May 1 to November 15) you can see lizards cooking on the sidewalks, tar melting in the streets, people grilling steaks on the hoods of their cars, and where 100-degree days beget 95-degree nights. Where diving into a swimming pool means not cooling down but just getting wet because the water temperature is so close to blood temperature as makes no difference. 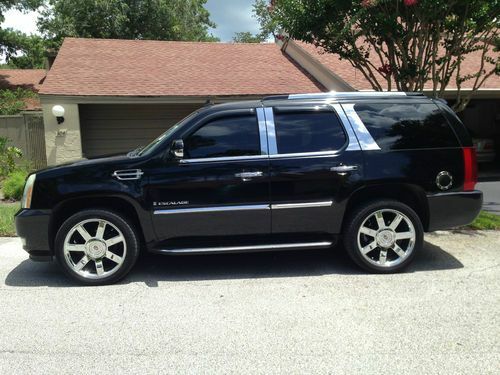 So I ask you all, with tears in my eyes: WTF is it with all these black cars? Don’t people know that black draws in sunlight and makes things hotter? Was everyone asleep in Science class that day when you put a cube of ice on a piece of white paper and an identical cube on a piece of black paper and watched as the latter melted in about half the time in the sunlight as the other? In North Texas, the inside temperature in that beast is going to reach “broil” in about twenty minutes — and “let’s melt some steel” in another twenty. 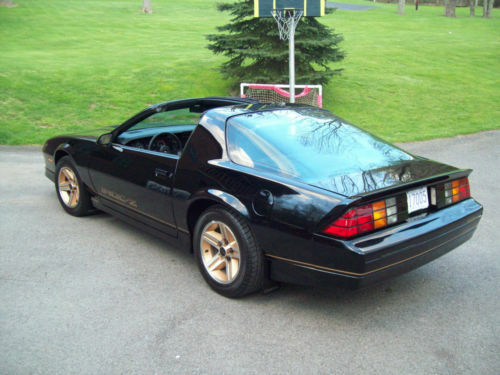 I’ve never owned a black car since. Even my wine-colored previous Tiguan was lousy in the sun, which is why Tiggy II is snow-white — and all my future cars will be white as well. I can understand (sorta) why someone who owns a big Mercedes, BMW or similar “executive” car might choose black — some pretensions to class or grandeur, I suppose — but not in Texas. It’s just stupid. The Gratuitous Gun Pics feature will soon reappear on these pages. The funny thing about this pic is that all those guns supposedly came from my personal collection at the time, but I have absolutely no idea how the little SIG .22 Mosquito (top left) got there; I don’t remember buying one (I’ve never owned a SIG of any description), and it’s no longer in Ye Olde Gunne Sayfe either, so it’s a complete mystery. Also, for those interested: the Ruger Blackhawk (top center) was chambered in .30 Carbine. 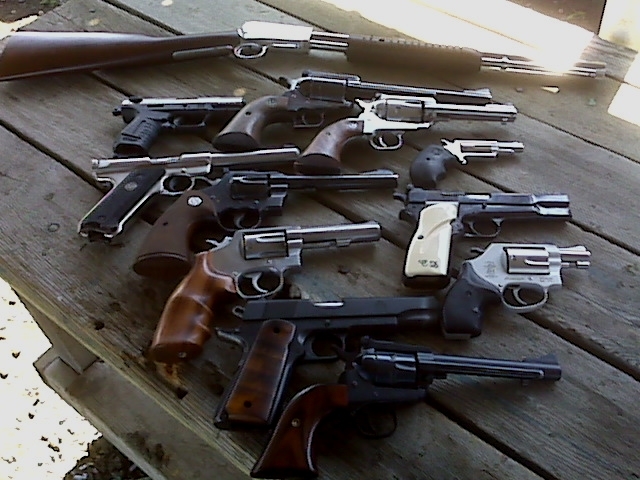 And I would kill to get the stainless S&W Mod 65 back (third from bottom). If the current owner sees this post, send me an email, willya? So it looks as though a whole bunch of companies are running away like little girls from being affiliated with the National Rifle Association. Well, screw them all, the gutless pussies; it’s nice to have the discounts and such, but I can live without them. 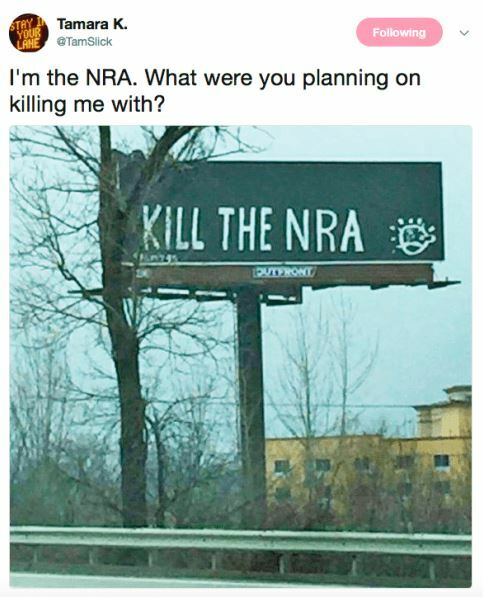 What I can’t live without is my guns, which these pussified corporations seem to want to deprive me of, or at least they don’t want to associate themselves with the gun owners’ representative organization because they’re afraid of GFW pressure or something. Well, assholes, it cuts both ways. Which is why I rejoined the NRA last Friday, after a long absence (explanation some other time). And I don’t have too much to do with most of the companies on the list — but starting immediately, I won’t be renting cars from Avis, Dollar, Budget, Enterprise, Alamo, or National anymore (I kissed good-bye to Hertz over a decade ago, after being a #1 Gold cardholder for most of my corporate life, because they fucked me on an insurance claim). Looks like my future business will have to go to Ace, as they aren’t part of the Hertz / Avis / Enterprise oligopoly. And if you’re moving house, you may want to strike North American Van Lines and Allied Van Lines from your list. Now, before I do anything stupid: I see that Symantec (Norton Anti-Virus) has joined The Movement [/Casablanca]. Anyone have any thoughts on replacing them with McAfee or some other (non-Russian) security system? All experiences and / or recommendations are welcome. And the AARP is never going to see my business either, because they too are a bunch of insurance-peddling hoplophobes. This, too. I’m not going to tell you folks how to live your lives. But this is my response to all this emotional GFW nonsense. Gun-owners’ boycotts might not hurt these corporate cocksuckers too much — there are over one hundred million of us, which in the normal course of events would surely give some cause for alarm, but clearly not — but I sure as hell am not going to support these corporate cowards by giving them any of my business. So join me, if you wish. Oh, and speaking of joining: should you too want to join / rejoin the NRA as a protest too, there’s a handy little link over on the right in my blogroll. This would be as good a time as any. One last thought: it’s not like I need any more, but in the very near future I’m going to dedicate some of my meager earnings towards buying myself a new semi-auto rifle — maybe even an(other) “assault-rifle” type, just because all these pricks want to ban them. Details to follow.